SkyWest flight 5879: Blew all main tires during landing. 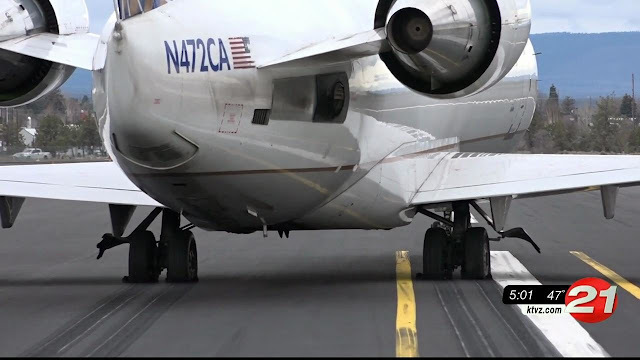 REDMOND, Oregon - All main tires tires on a United Express flight from San Francisco to Redmond blew out upon landing at Redmond Municipal Airport Wednesday morning, causing no injuries but prompting a call-out of emergency crews. officials said. An airport representative said the incident involved United Flight 5879, which landed at Redmond Municipal Airport shortly before 10 a.m. The passengers were taken by bus to the airport terminal, the representative said, and the plane's return flight to San Francisco, Flight 5541, was delayed until 1:26 p.m.
SkyWest Airlines operates the United Express flights into and out of Redmond Municipal Airport. SkyWest issued a brief statement indicating the flight "experienced a tire issue upon safely landing in Redmond" and said the 27 passengers disembarked through the main cabin door and were taken to the terminal. The plane had three crew members, the airline added. Airport Manager Zachary Bass told NewsChannel 21 the incident did not close the runway and other flight arrivals and departures were proceeding without delay. Two passengers told NewsChannel 21 they didn't hear a pop or a bang, but it was a somewhat rough landing, with an abrupt stop. Passenger Georgina Wenick said, “I was like, ‘Wow, that's really weird.' I've never had that experience. The brakes hit, and we started to slow down like normal. But then within a few seconds, it was just like the whole airplane just stopped." 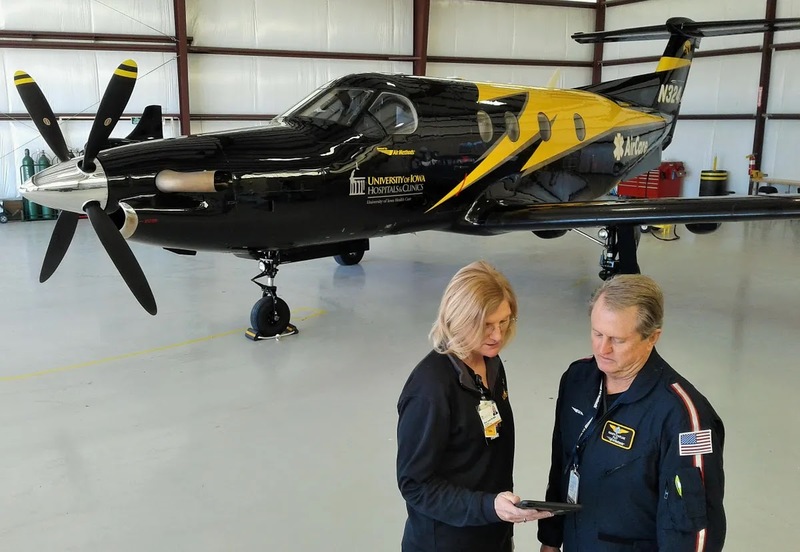 “But we were sitting on the runway and I looked over and saw one of those emergency vehicles coming out of the garage where they keep them in the airport fire department, and I thought, 'Oh, something's going on.'" That’s some good landing gear there. Might want to see your chiropractor for a tune up. That's an old Comair CRJ. WOW! That thing has more air miles on it than Apollo 7!